Does your office insist on cranking the air conditioning to frigid temperatures in the middle of summer? Sometimes it feels like you shouldn't bother with a summer work wardrobe because you spend most of the time freezing at your desk…your male office mates are content because they wear the same outfit all year — they don’t even notice. Right?! It's frustrating because you have these great clothes you get to wear only a few months of the year, but you also don't want to suffer indoors. And every time you leave the office — for lunch, a meeting, errands — you need to shed a layer or two because of the extreme temperature change. Hot. Cold. Hot. Cold. Have we all been there?! You want and need to dress appropriately for work, but you also want to feel summery and fresh once you leave the office. 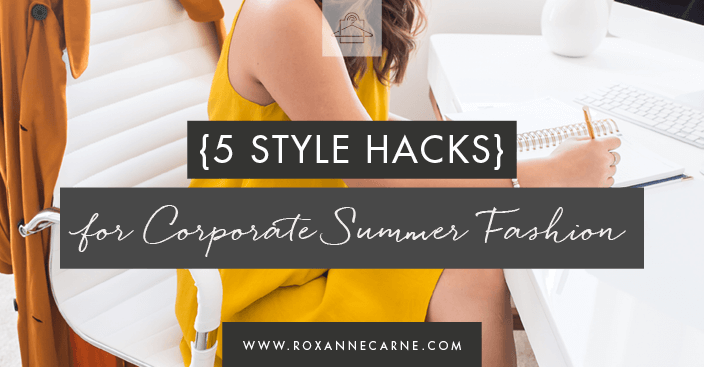 It's a delicate balance…that's why I've made some ‘cool' suggestions below for summer office attire that won't cramp your style and also created a Pinterest board for even more inspiration. Check it out for some helpful hints! Let's start with a few tips on What Not To Wear at work — we all love the beach, but remember that's for weekends and vacations! Don’t wear anything at the office that you’d wear to the beach…this includes, but is not limited to flip-flops, short shorts, cover-ups, etc. Now that we’ve got the “don’ts” out of the way, let’s get to the fun part. 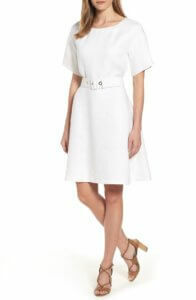 Wear lighter fabrics (like cotton and linen) in pale colors. Lightweight fabrics and colors help you feel cooler on a hot day. Linen and cotton are breathable and will keep you from overheating en route to the office. Here are some great examples of pieces you can wear to the office that fit this bill! Love the Look? Click the images above to own it! Dresses are a good way to beat the heat and look professional. But let's make sure your dress is still professional. Thin or revealing summer clothes are not appropriate for work. You want to avoid thinly strapped tanks (that are uncovered) or halter dresses. Keep your hemline to your knee (or just above). Avoid a super short hemline — make sure it’s appropriate for your office culture. Sleeveless blouses and dresses are (usually) okay! Double-check with your office, but these days, women can wear sleeveless blouses and dresses. 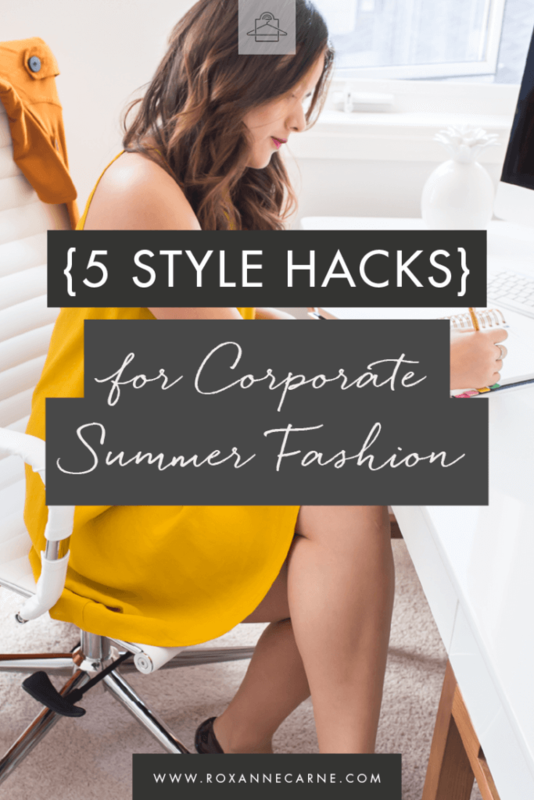 (Personally, I love these looks for summer office attire – I mean, we don't want to be too stodgy, right?). 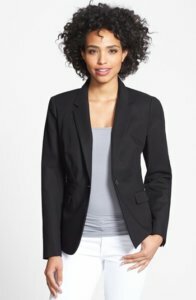 It’s a good idea to keep a blazer, jacket, or cardigan handy for client meetings (and if your office air-conditioning is on “arctic” setting) but baring a little skin can help you beat the heat. 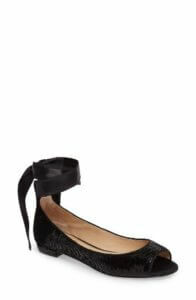 Wear open-toed (aka peep toe) shoes, dressy leather sandals, or wedges. You don’t have to stick with closed-toed shoes or boots for the summer. It’s okay to experiment a bit with footwear, as long as it’s in line with your office dress standards. You shouldn’t have to suffer through summer in work clothes that make you feel like you’re missing out…on summer, that is. 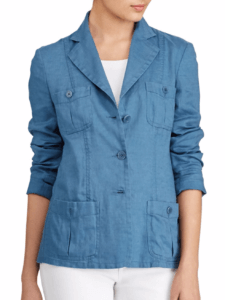 Choose appropriate clothes that are great to wear outside of the office, too! Head on over to Pinterest and follow my summer office attire styling board for inspiration. I've got some great suggestions for putting together sophisticated summer outfits. And I’d love to hear your personal tips for summer work fashion – how do you stay warm inside and cool outside? Comment below!